Danielia Cotton (US) see: Samples etc. 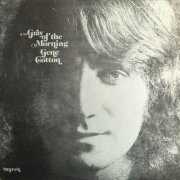 Although singer-songwriter Gene Cotton's fourth album, 1973's In the Gray of the Morning (named for a line from opener Question), was released on religious imprint Myrrh, its Christian input is relatively minimal, thankfully, only really apparent on Blessed. It's very much an album of its time, veering between the passable balladry of Apathy and We Are Alone and the more upbeat likes of Opry House Blues and When The Ship Comes In, while I can't work out whether the jaunty American Indian Blues is ironic, 'in character' or simply offensive. One Beegie Cruser plays Mellotron, with background chordal strings on Apathy, Lean On One Another and We Are Alone, with slightly more upfront ones on closer Help You Smile. Cotton's known more for his activist work these days, but fans of middling '70s singer-songwriter fare may well go for this. Josie Cotton? Never heard of her myself, but it seems she's (in)famous for her early '80s hit Johnny Are You Queer?, apparently a send-up of narcissism, rather than a pro- or anti-gay statement. You wouldn't write it now, though, would you? 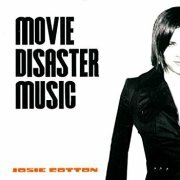 Anyway, having attained one-hit wonder status, Cotton's 2006 release, Movie Disaster Music (ho ho), is only her fourth album in well over twenty years, a perfectly acceptable, '80s-esque pop/rock effort, probably at its best on the guitar-led End Of Story and sparse, jazzy closer You're The Boss. Patrick Warren plays Mellotron and Chamberlin, with chordal strings on Kung-Fu Girl and Beautiful But Deadly, a background string melody on Creeps, distant (Chamby?) strings on Nikita, occasional Chamby woodwinds and upfront Mellotron strings on End Of Story and a string melody on Fabulous. How much of this is one instrument or the other, however, is difficult to tell. All in all, a pretty decent album, actually, with reasonable tape-replay work to boot. I used to play in a band named after a Joni Mitchell album, too. We were called The Hissing of Summer Lawns. OK, we weren't (although I did), but The Court & Spark clearly had the same idea, for better or worse. 2006's Hearts was their fourth and last album, a cocktail of alt.country, indie and stoner blues, possibly at its best on Birmingham To Blackhorse Road We Wandered (did the band play at that Walthamstow single-lane blacktop's semi-legendary venue The Royal Standard? ), the slowburn Capaldi and closer The Ballad Of Horselover Fat, although too much of this record drifts past in a haze of disinterest. 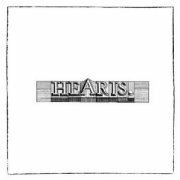 The Mother Hips' Paul Hoaglin plays Mellotron, with, of all things, some clicky, pitchbent sax on Smoke Signals and wonky flutes on The Ballad Of Horselover Fat. I don't know if The Court & Spark's earlier albums focus their strengths to better effect than here, but this strikes me as a lost opportunity, Mellotron work excepted. Court Yard Hounds (US) see: Samples etc. 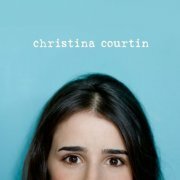 Christina Courtin is a Juilliard graduate (on violin), although she doesn't flash her skills around on her eponymous debut album, a delicate singer-songwriter effort, which isn't to say she doesn't play at all. It's one of those perfectly nice albums that are slightly unengaging, Courtin's voice not really being quite strong enough to carry the material, although nothing here even comes close to offending. Think: fragile, folk-influenced writing and singing and you won't be too far off, though nowhere near the level of, say, Vashti Bunyan, but then, who is? The album's best tracks are probably February (a lovely string part) and maybe closer Unzipped, an unusually loud effort from Ms. Courtin, with an almost chaotically full arrangement. Jon Brion plays credited Chamberlin on two tracks, with whichever woodwind plays the solo in the middle of the song (I think) and what sounds like flutes amongst the maelstrom on closer Unzipped. In other words, two credits, but it's not entirely certain what either of them are. Anyway, Christina Courtin isn't a bad album at all, with a couple of surprises, although its Chamberlin use isn't among them. 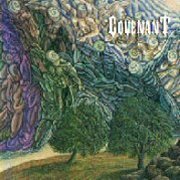 It seems Covenant were essentially drummer/keyboardist Dave Gryder's solo project, with noted progressive guitarist Bill Pohl (of Solid Earth fame) guesting on the first track. Although Echolyn and Magellan were both already in operation when Nature's Divine Reflection was recorded in 1992, it still counts as one of the earliest American entries in the 'new prog' field, although, sadly, it now seems to be largely forgotten. I believe Gryder is first and foremost a drummer, so it's unsurprising that the album is rhythmically complex, although slightly less so melodically and harmonically. Fully instrumental, the online review I saw that compared its sound to that of Wetton/Jobson's UK wasn't too far off, although UK would never have written 'side-long' pieces, let alone ones with titles such as Sunchild's Spiritual Quest Through The Forest Of Introspection. Gryder uses a range of keyboard equipment, old and new, so you get the bland Korg M1 next to a Hammond, Solina, Prophet and, of course, a Mellotron, though the newer 'boards aren't intrusive enough to ruin the overall sound (unlike on, say, the Romantic Warriors' album). He's actually a pretty good player, showing off his Hammond chops on the shorter Eschatolic Covenant, and what I presume to be a Prophet-on-mono-mode solo near the beginning of the aforementioned Sunchild's Spiritual Quest.... Gryder doesn't overuse his Mellotron - in fact, he only uses the choirs, preferring the Solina for strings (why?). It isn't fantastically well-recorded, to be honest, although it could simply be that the machine was well overdue for an overhaul (not so easy in the early '90s). Choir parts on all tracks, though Eschatolic Covenant is the only one to feature it to any great extent; I've no idea where the 'Tron comes in on the longer tracks - suffice to say, it dips in and out of the mix without ever completely taking over (sadly). To be honest, I don't personally find the music as exciting as that of many other practitioners of the genre, but Nature's Divine Reflection is a perfectly 'good' album without ever being in any particular danger of crossing over to 'great'. If you like your prog instrumental, rhythmic and a bit jazzy, you could do a hell of a lot worse than this, although I wouldn't really bother for the 'Tron work. Incidentally, these days, Gryder plays with stoner hard rockers Storm at Sunrise, still using the 'Tron. Ralph Covert (US) see: Samples etc. 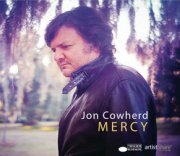 Jazz pianist Jon Cowherd (who frequently works with Brian Blade) has taken nearly twenty years from his first sideman recording to releasing his solo debut. Mercy is... a jazz album. You know, laid-back piano, upright bass and brushed drums. Jazz. If you like this kind of jazz, you'll almost certainly like this. I don't, but I can appreciate the artistry. I think. Cowherd's credited with Mellotron and, indeed, those clicky, poppy flutes on Seconds sound like they at least started off being played on a real machine, although I suspect some subsequent sampling and looping has occurred. 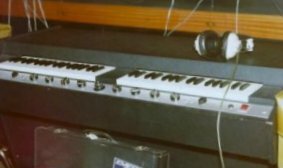 As long as a genuine Mellotron's been part of the recording process... I'm making something of an assumption here, but isn't that often the way? II × II: not on CD? 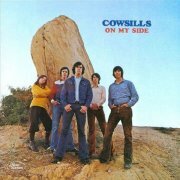 If I were to tell you that Rhode Island's family grouping The Cowsills were the inspiration for The Partridge Family, would you run screaming? And could anyone blame you? I can't attest as to their earlier material (they debuted with an eponymous 1967 release), but 1970's II × II, if a tad dated for the year, is nowhere near as bad as I'd expected. It doesn't get off to a good start, the rather anodyne lead-off title track and the slushy I Really Want to Know You throwing out warning signs, but the rockier Signs (appropriately), the distinctly Beach Boys-influenced Goodtime Charlie and the religio-psych of The Prophecy Of Daniel And John The Divine are all pretty decent, as long as you're not expecting, well, The Beach Boys. Someone (John Cowsill? He played keys for, yes, The Beach Boys in later decades) slaps pseudo-orchestral Chamberlin strings all over I Really Want to Know You and Father, the arrangements sounding far too 'blocky' for real strings. They followed up with '71's On My Side, if anything, slightly less commercial than its predecessor, highlights including Once There Was A Time, the doomy (no, really) Contact Made and the banjo-driven Dover Mine, although the generic country of Cheatin' On Me and the rather pointless hoedown of Down On The Farm let the side down slightly. Another two Chamby tracks, with flutes and strings on Can You Love Me and Mystery Of Life, from the mystery musician. Do you bother hearing these? While very much of their time, they knock the crap out of the blander-than-bland Partridge Family knock-off and are possibly worth it for the vocal harmony work alone. And, of course, four nice examples of an unknown model of Chamberlin. 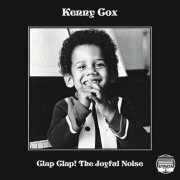 Jazz pianist Kenny Cox owned Detroit's ill-fated Strata label, 2013's Clap Clap! The Joyful Noise being an unreleased recordings from their archive, along with Sam Sanders' Mirror, Mirror and others. It's a mostly instrumental jazz/soul/funk album, hardly Planet Mellotron's regular fare, but its joie de vivre, superb musicianship and all-round, well, joyful noise make it essential listening for fans of the cool end of '70s jazz. Cox plays (local studio? Label's own?) Mellotron, with melodic string and flute parts on the jazzy Samba De Romance, in 'budget orchestra' mode, impeccably-arranged strings, almost fooling the ear, on Lost My Love and more strings and flutes on thirteen-minute, jammed-out closer Beyond The Dream, the album's one vocal track, if only just. Tired of 'standard' organ-style block-chord Mellotron playing? Kenny Cox was clearly a virtuoso, proven by his superb Mellotron wrangling, making this more than worth it on the tape-replay front. That's Why... Darkies Were Born? Legendary free jazz saxophonist Lol Coxhill, already no spring chicken as the '70s rolled around, has played with the good and the great, not least Kevin Ayers, Fred Frith and, er, The Damned, alongside running a solo career. 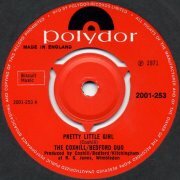 His solo debut, 1971's Ear of Beholder, was released on the also legendary John Peel's wonderfully crackpot Dandelion label (logo: the Peel family's pet hamster, Dandelion), largely a home for the wilfully obscure and, frankly, utterly unsellable. 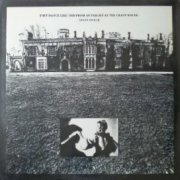 Ear of Beholder falls firmly into both camps, being a double album of mostly unaccompanied soprano sax solos of variable recording quality, intercut with strange little items such as Coxhill and David Bedford (later of Mike Oldfield fame, of course) singing twee little songs such as Two Little Pigeons or Don Alfonso. The most 'difficult' piece here is probably the twenty-minute Rasa-Moods, though, a mad, full band improv piece, sounding as if it was recorded on one mic from the next room, which does little for its fidelity. 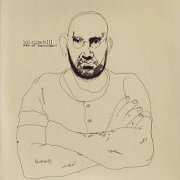 This album's presence on this site rests wholly on its last track, the 26-second A Series Of Superbly Played Mellotron Codas, Coxhill playing five codas from the left-hand (rhythm) manual of a MkII machine, including the famous (well, round these parts, anyway) Bill Fransen "Yeah!". Despite its brevity, the track is so startling and so, well, Mellotronic, that it still gets a full T. This isn't an album for the faint-hearted, or, for that matter, people who don't like saxophones, but if you're of an adventurous bent, you might find things to admire here. Personally, I admire its last 26 seconds. File under: 'music I'm glad exists but don't really want to listen to again'. 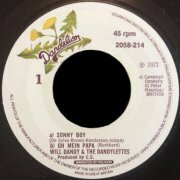 A pair of Coxhill 7" curios crept out the following year, The Coxhill-Bedford Duo's Pretty Little Girl and Will Dandy & the Dandylettes' Sonny Boy - Oh Mein Papa, b/w another Coxhill-Bedford Duo track. The first-named is a strange little song, Coxhill's vocal (and clarinet?) accompanied by Bedford on school-hall piano and Mellotron flutes, the flip being an instrumental, sax-led version, while the Will Dandy single is no less strange, with orchestrated strings on the 'A'. Mike Coykendall (US) see: Samples etc. 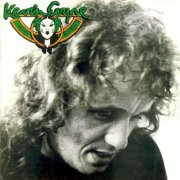 Kevin Coyne (1944-2004) is, by any definition, a cult figure these days, although, for a period in the '70s, the initially experimental Virgin label released several of his albums. Unsurprisingly, he actually debuted on John Peel's legendary Dandelion label, 1973's double LP Marjory Razorblade being his second full-lengther and first for Virgin. Veering between acoustic numbers and full band arrangements, heavily infused with the blues, highlights include Marlene and Eastbourne Ladies' downbeat boogie, notoriously played on radio by John Lydon at the peak of punk in '77, while the crazed Good Boy, if not exactly a 'highlight', at least typifies this very strange album. (Presumably) session pianist Jean Roussel plays uncredited Mellotron, with near-subliminal strings, clearly intended to fool the ear, on Old Soldier, to the point where I'm tempted to give this '¼' on the Mellotron front. Marjory Razorblade is outsider art of the highest order, which is Planet Mellotron shorthand for 'this is not an easy listen'. Comparing him to Syd Barrett would be disingenuous, but fans of Kevin Ayers should probably apply. Cozumel Keith & the Ginseng Addicts (US) see: Samples etc. Crabb Family (US) see: Samples etc. 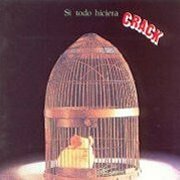 Crack's sole album, 1979's Si Todo Hiciera Crack, is a masterpiece of Spanish progressive, with gentle lyrical passages alternating with fiery unison sections. There is a slight 'Spanish' feel to the music, although not nearly as overtly as, say, Iman, Califato Independiente, with a real edge to their piano-driven compositions, marking this as one of the best albums from Spain's late-'70s progressive scene. Plenty of interesting synth work on several tracks, plus, of course, shitloads of Mellotron (as you can see, a rare MkV) from Mento Hevia. On the 'Tron front, Descenso En El Mahëllstrong has cellos on its gentle intro and later in the track, while Amantes De La Irrealidad features choirs quite heavily, plus a few ethereal string chords at its close. Cellos again on Cobarde O Desertor, while Marchando Una Del Cid ('Tron brass) is indeed a march, with more than a little Jethro Tull about it, and not just because of the flute. Apart from the last two tracks, there's a good whack of 'Tron on the album, although as with so many Spanish bands, most of the strings are from a string synth. Why did they do that? Anyway, an excellent album that I'd been hoping to track down for a while. Fantastic compositions and excellent Mellotron. Buy. 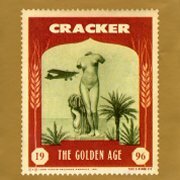 Cracker are fronted by David Lowery, ex-Camper Van Beethoven (of Take The Skinheads Bowling fame), and boast of being the only band to support both the Grateful Dead and the Ramones (!). Critical opinion has it that their third album, Golden Age, isn't a patch on their second, Kerosene Hat, but to my ears it sounds like a decent enough semi-Americana effort, frequently tipping over into more straightforward, slightly grungy mainstream rock. Best track? Possibly opener I Hate My Generation, even though (or because?) it nicks the riff from Hawkwind's iconic Assault And Battery. Lowery and Dennis Herring both play Mellotron, with most of the work being Lowery's, with strings on the really rather good I'm A Little Rocket Ship, a high string part on the title track and yet more strings near the end of 100 Flower Power Maximum that could, at a pinch, be mistaken for real ones, which, incidentally, is exactly what you get on Dixie Babylon and Bicycle Spaniard. So; not bad at what it does, though no classic, with passable 'Tron work. Yup, another average Mellotron album. Sarah Cracknell (UK) see: Samples etc. Matt Craig (US) see: Samples etc. 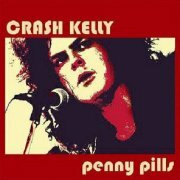 Sean Kelly's Crash Kelly (named in honour of his uncle, an ice-hockey pro) released their debut, Penny Pills, in 2003, an album at the heavy end of the powerpop spectrum, influences clearly including Kiss (boo!) and Cheap Trick (hooray! ), to the point of covering the latter's Elo Kiddies. Top tracks? Opener She Gets Away, Love Me Electric, You Don't Know, Wanna Be Like You... It's pretty much all good, but why end the album with a version of Russ Ballard's (via Rainbow) Since You Been Gone? Cheesy pop/rock nonsense. 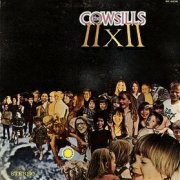 Craig McConnell plays tentative, real-sounding Mellotron strings on 11 Cigarettes, the nearest the album gets to a ballad. Although Crash Kelly haven't released anything for a decade at the time of writing, Sean's busy playing variously with Helix, Nelly Furtado and others, so it ain't over until it's over. 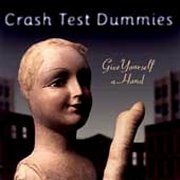 The Crash Test Dummies apparently started off as irritating 'wacky', but by '99, they'd mutated into a far-too contemporary outfit, with all the right 'retro' instrumental references, including widespread use of a vibraphone, not to mention the obligatory Mellotron, although incorporating funk, soul etc. influences doth not necessarily a 'relevant' album make, especially when the lyrics are so tediously infantile. As far as the Mellotron's concerned (possibly from co-vocalist Ellen Reid), most of the relevant tracks feature it in a pretty low-key role, although Get You In The Morning, Just Shoot Me, Baby and I Love Your Goo have some upfront flutes and strings. The others all have amounts ranging from 'bits' to 'next to nothing', but there's probably enough use to make it worth picking up second-hand, as long as you can cope with the irritating music. 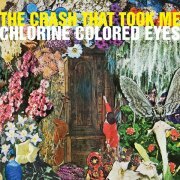 I've seen The Crash That Took Me described as 'psychedelic', but their second album, 2009's Chlorine Colored Eyes, strikes me as an energetic-end-of-indie record, with the mildest of psych touches in places. Any better tracks? Not really, no; this really is a drab, tiresome effort, its 'songs' barely worthy of the name. Kevin Howard plays Valve Studios' M400, with distant string spurts and more upfront flutes on opener Reconnect It With A Curve, strings, flutes and choirs on The Longest Winter's Gone, upfront strings on Through The Pattern And Out The Other Side, Patricia Lynn, Shapes From Clouds and closer The Making Of A Wonderland and background flutes on Tragic Sense Of Life, only really audible at the end of the track. Nice to hear a genuine Mellotron on a modern album, just a shame said album couldn't have been better. I'm British and was a (young) music-obsessed adult in 1982. Why have I never heard of Crazy House? Despite being (much) more towards the rock end of things, I nursed a secret admiration for some synthpop outfits, so discovering this lot almost three decades on is, if not an active joy, certainly of interest. 1982's verbosely-titled They Dance Like This From as Far Off as the Crazy House is a pretty decent noo wave/synthpop effort, better tracks including Men Without Hats-esque opener Come On Down No 1, the driving, fractured electronica of We Drive So Hard and the spacious Cowboys Out Of Action, all tied together by David Luckhurst's Bowiesque vocals and the stench of cheap synthesizers. Peter Parsons is credited with various keyboards, including Mellotron, although by the end of track thirteen, Come On Down No 2, I was beginning to think it was a misnomer. Then album closer The Weekend Two (The Weekend One... Reprise) kicks in and... there it is. Weedy background choirs, although unmistakably Mellotron, not least due to the obvious key-click. Students of the era who haven't previously encountered Crazy House should make the effort to track this down; not exactly a lost gem, but a worthwhile effort, albeit not for the Mellotron. 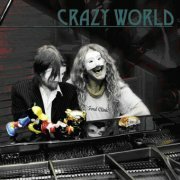 Crazy World are some kind of Finnish supergroup, almost Five Fifteen Mk. 2 (they share vocalist/guitarist Mika Järvinen), whose eponymous debut is pretty much indistinguishable from that band's work; Long Hair(ed) Wildman Rides Again is actually a re-recording of a track from Five Fifteen's own debut. As with that outfit, this treads a fine line between hard rock, psych and prog, between wild enthusiasm, idiot near-plagiarism and knowing pastiche. But is it fun? 'Course it is, although you're best off leaving your brain at the door. Highlights include opener No White Marble and power ballads Poor Alice and Misery Loves Company, although I'm not sure why they bothered covering Zeppelin's Good Times, Bad Times; at least it isn't a Five Fifteen-style 'repurposed famous song title', as I'd originally assumed. Esa Kotilainen does his usual Finnish Mellotron thing, with flutes and strings all over No White Marble and Poor Alice, strings on Out Of Me, background strings on Sölvesborg Afternoon and a melodic flute line running through Misery Loves Company. 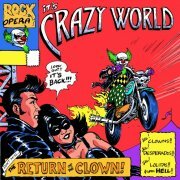 2012's The Return of the Clown appears to be some kind of bizarre concept effort concerning the titular clown, from its sleeve art down to song titles and lyrics. Much like its predecessor, highlights include ten-minute opener Every Good Wish All To You, the crunchy hard rock of I Think I Saw My Brothers Eyes, the psychedelic Pearls Before Swine and Mrs Politician, while the bizarre You're So Vain continues Five Fifteen's habit of re-purposing famous song titles for their own compositions. Kotilainen on Mellotron again, with background choirs on Every Good Wish All To You, flutes and strings on The Clown In A Swing, flutes on From Son To Father, a flute part in the quiet section of Mrs Politician and chordal flutes and muted strings on the title track. Anyone who ever liked Five Fifteen will almost certainly like Crazy World, Kotailainen's Mellotron simply being the icing on the cake. 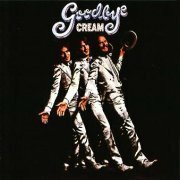 Cream's last, posthumous album, Goodbye, was comprised of three live tracks (covering about two-thirds of the album's length) and three studio, one of which had already been a hit. Scraping the barrel? Hmmm. Saying that, the lengthy I'm So Glad which opens the record is a storming version, with Clapton's soloing showing what he was once capable of, and the band almost telepathically slipping back into the groove after all going their separate ways for a few minutes. Neither Politician or Sitting On Top Of The World fare as well, but the three studio tracks are all pretty good. Badge is one of their best-known songs anyway, although the marvellous 'chorus' Leslied guitar part would have born some repetition. There's some Mellotron strings towards the end of the song that I'd never noticed before, too, from producer and later Mountaineer Felix Pappalardi, although Doing That Scrapyard Thing is the track that's usually quoted as being the album's 'Tron highlight. Well, it's got a brief repeating brass (?) part, but nothing to write home about, so while it's a good album, it's no 'Tron classic. Create (UK) see: Samples etc. Can I Join Your Band? It seems a select band of music fans exist who claim that The Creation are better then The Who; both outfits had art school connections, both utilised feedback and did things to their guitars other than play them 'normally', but The Who predated The Creation by a good two years, had better songs and did it first. All of which isn't to say that The Creation were a bad band; far from it - they produced some excellent sides, more than equalling some of The Who's rather ordinary album tracks, but there's nothing in their (smallish) catalogue to obviously challenge My Generation, Anyway, Anyhow, Anywhere or, well, any other Who hits you can think of. They only released one album in their lifetime, 1967's We Are Paintermen, although they've been compiled multiple times since, starting as early as 1968's The Best of The Creation. 1982's How Does it Feel to Feel added some previously unreleased tracks to their catalogue, including what appears to be their sole Mellotron track, Ostrich Man, with a skronky woodwind (oboe?) line from guitarist Eddie Phillips, although it's hardly something you're going to go out of your way to hear for that alone. 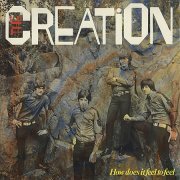 Anyone interested in British '60s rock probably needs to hear The Creation somewhere down the line, but given that this compilation's long, long out of print, you're probably better off with, say, the expanded We Are Paintermen, containing pretty much everything you need to hear, including Ostrich Man. 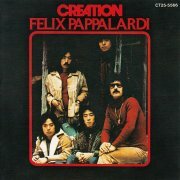 Mountain were long washed-up by 1976, and bassist Felix Pappalardi fell in with a Japanese band, Creation. 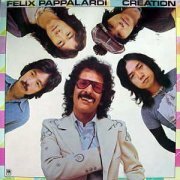 Each liked the other's way of working, and a decision was made to record together, although the resulting album was released with the band's name first in Japan, and Pappalardi's in the States, as you can see. The album isn't a million miles away from Mountain, proving that they were Pappalardi's band as much as Leslie West's, although it's fairly bland throughout much of its length - no Nantucket Sleighride here. Mid-paced bluesy opener She's Got Me sets the tone for much of the album, slipping into ballad territory on track two, Dreams I Dream Of You. None of the material's particularly outstanding, to be honest, although nothing actually offends. Real strings on a couple of tracks, with Pappalardi's 'Tron only cropping up with a few string chords on She's Got Me and a slightly more substantial part on 'Ballad Of A Sad Café, though that would seem to be it. So; not a classic on any front, though possibly worth picking up cheap. Average.